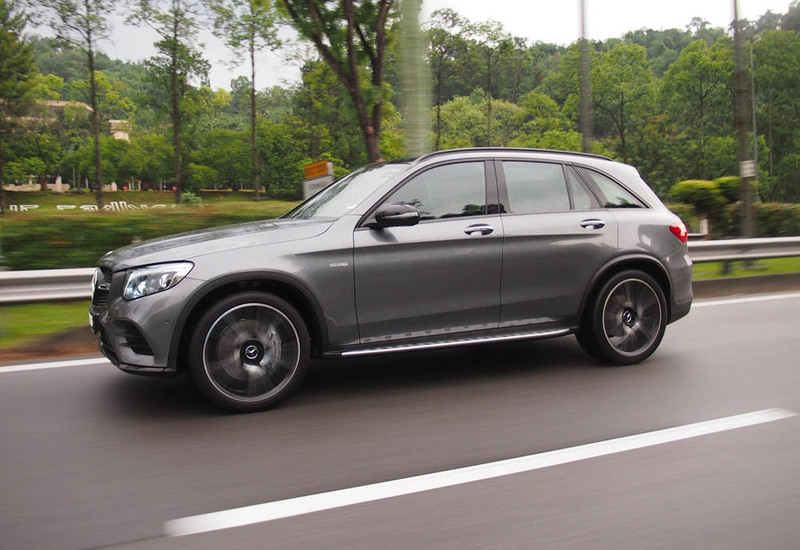 The Mercedes-Benz GLC makes quite an impression as the sports car among the Mercedes‑Benz SUVs. The combination of multifunctional SUV and a dynamic coupé neatly fuses emotion with intelligence. To give this SUV an added dose of adrenalin, AMG was summoned to provide the heart and handling and so an AMG GLC was born. 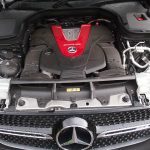 Under the hood of this GLC is an AMG 3.0-litre V6 biturbo engine. 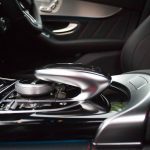 Installed close to the engine, the two turbochargers are especially spontaneous in their response. The high power output of 367hp is attributable to, among other things, the higher 1.1 bar charge-air pressure. Together with the 520Nm torque from 2500-4500 rpm the engine unleashes high levels dynamism and responsiveness. Fact that you should know to share with your friends. The NANOSLIDE® coating on the cylinder liners was also enhanced in the Mercedes-Benz Formula 1 V6 hybrid turbo engines. Especially tough and, therefore, wear-resistant, this coating also reduces friction, thereby contributing to higher efficiency. The same applies to the spray-guided multiple injection with up to 200 bar fuel pressure. 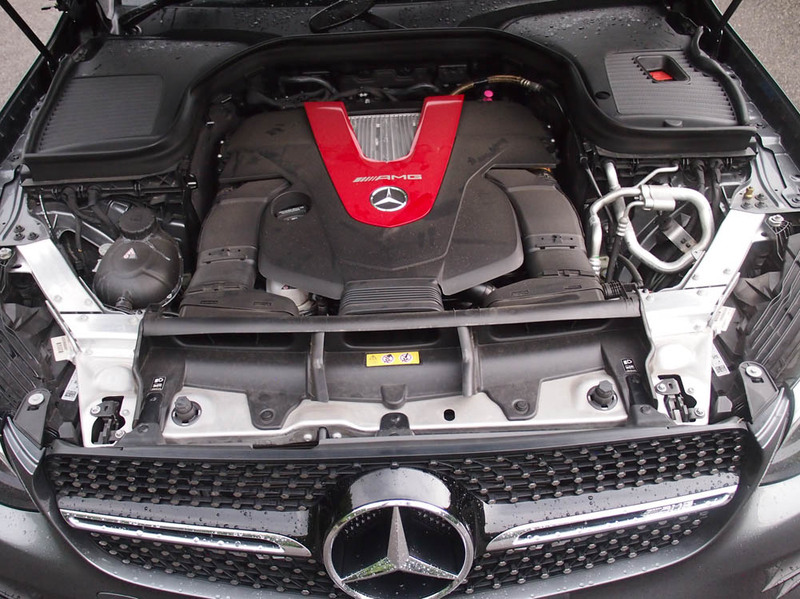 The AMG powerplant can be identified by the red aluminium insert on the engine cover. The 9G-TRONIC automatic transmission is especially matched to the demands of the GLC43 4MATIC. 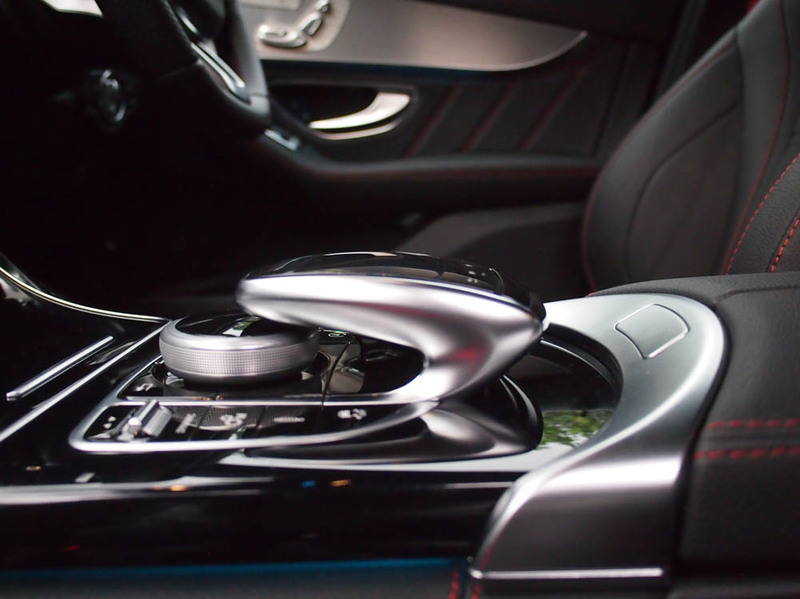 Thanks to the model-specific software application, the AMG developers managed to reduce the shift times of the 9-speed transmission. The multiple downshift allows even faster short bursts of speed, while the double-declutching function in the “Sport” and “Sport Plus” transmission modes makes for an even more emotive driving experience. Defined ignition adjustments also provide faster gearshifts than in the “Eco” and “Comfort” modes. 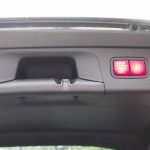 “Manual” mode can be selected using a separate button in the centre console. The gear changes are based on the selected transmission mode, and the driver can change gear using the paddles on the steering wheel. Moreover, the transmission stays in the selected gear and does not automatically shift up when the engine speed reaches the limit. 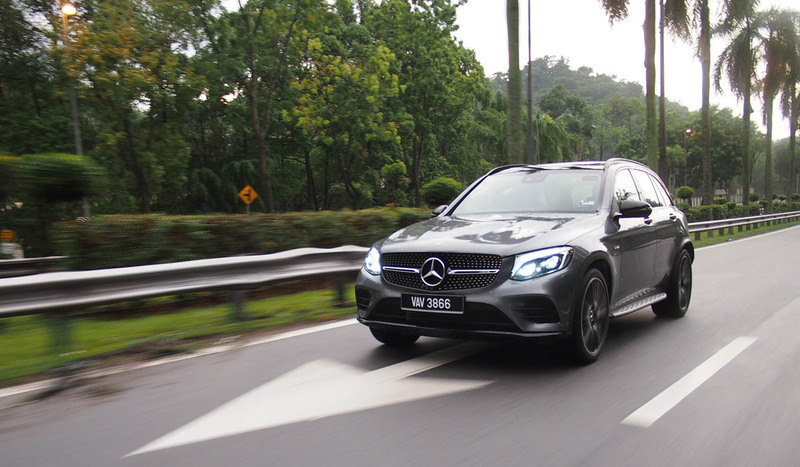 For more agility, more neutral cornering characteristics and higher traction even in intensive use the AMG suspension tuners designed an autonomous sports suspension on the basis of the AIR BODY CONTROL air suspension. Also specifically adapted, the Adaptive Damping system ADS PLUS can be adjusted in the three stages “Comfort”, “Sport” and “Sport Plus”. 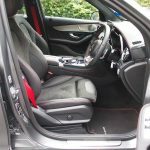 It thus increases the kingpin inclination between high comfort on long journeys and sporty driving dynamics. The four-link front axle is fitted with special steering knuckles and load-bearing joints; all components have been optimised in terms of rigidity. A more negative camber on the front axle and on the multi-link rear axle enhances lateral dynamics. The elastokinematics of both axles have been designed to be more rigid in general. The sum of these measures improve agility, and boost the dynamics. The standard-fit all-wheel drive AMG performance 4MATIC is characterised by the rear-biased torque distribution of 31% at the front axle to 69% at the rear axle. This configuration ensures more driving dynamics and higher lateral acceleration on the road plus improved traction during acceleration. 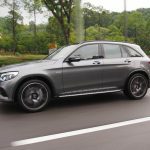 With the five DYNAMIC SELECT transmission modes Eco, Comfort, Sport, Sport Plus and Individual, the driver can tailor the characteristics of the GLC43 4MATIC to individual preferences at the tap of a finger. The available range extends from efficient and comfortable to extremely sporty. This modifies key parameters, such as the response of the engine, transmission, suspension and steering. 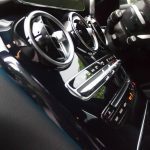 Independently of the DYNAMIC SELECT transmission modes, the driver has the option of pressing the “M” button to switch directly to manual mode, in which gearshifts are executed exclusively using the shift paddles on the steering wheel. The DYNAMIC SELECT drive programs “Sport” and “Sport Plus” are even more strongly configured for driving dynamics on the GLC43 4MATIC than on the series-production models. This is thanks to the more agile, more direct accelerator characteristic and the more emotive gear shifting with shortened shift times, double-declutching function and cylinder shut-off. The higher idle speed also facilitates even faster moving off and acceleration from standstill. 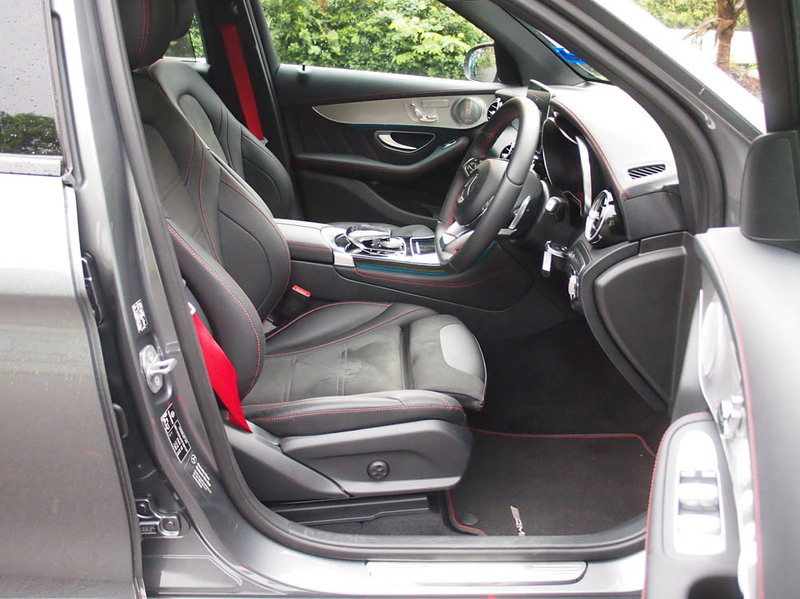 If you buy an AMG tuned SUV the last thing you want to do is to increase efficiency. 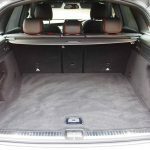 (You buy a simpler luxury bound GLC 200 for that). You want constant on the ‘fly’ power delivery. You will never look at using the “Eco” mode the ECO start/stop function and the gliding function to reduce fuel consumption. The AMG ‘look’ starts with silver chrome coloured and high-gloss black exterior features. It builds on the AMG Exterior line. The diamond radiator grille features chrome-plated pins, a louvre in high-gloss black with inserts in high-gloss chrome and the AMG lettering. The sportily distinctive air intakes in the AMG front apron feature fins in silver chrome. Down below, the silver chrome front splitter ensures an optimal flow of air to the cooling modules. High-gloss black-painted, high-sheen 48.3 cm (19-inch) AMG 5-twin-spoke light-alloy wheels dominate the side view. The mixed-size tyres with the dimensions 235/55 R 19 on 8 J x 19 at the front axle and 255/50 R 19 on 9 J x 19 at the rear axle emphasise the majestic appearance. There are also high-gloss black door mirror caps and the silver-coloured “BITURBO 4MATIC” lettering on the front wings. The tail end also sports characteristic highlights and exudes sporty, aesthetic appeal with two four-pipe chromed tailpipe trims. 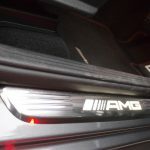 The AMG-specific rear apron sports trim in silver chrome. 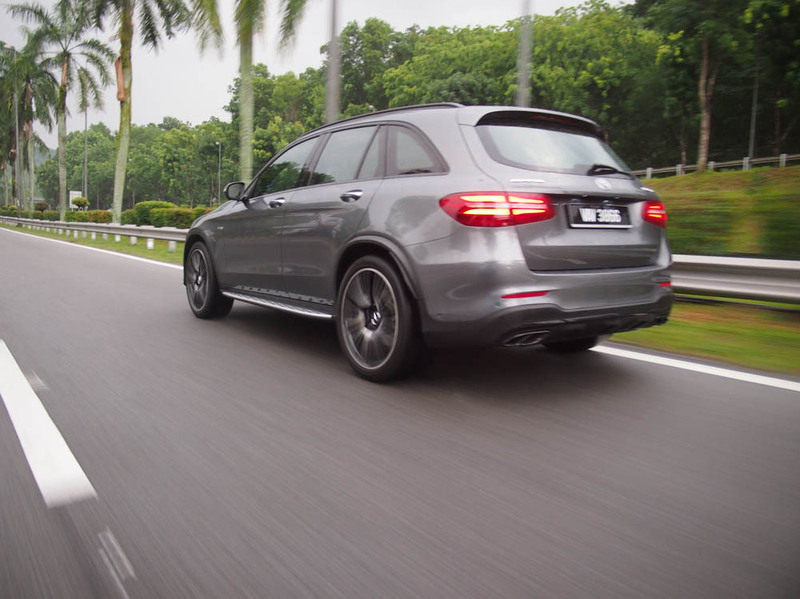 Like any another Mercedes-Benz tuned by AMG this GLC43 is fast. It is very quick of the line. 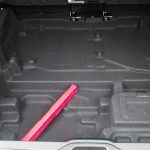 Has sweeping torque when summoned and can be truly enjoyed in ‘Sport’ mode when the suspension tightens up. In ‘Comfort’ mode its true spirit is missing. The driving enjoyment quashed for the sake of taking in our pot holed roads and numerous speed bumps. It wallows in self pity at every neighborhood street. Only when it finds an open road it smiles and runs. The AMG tuned ride does not like our under maintained roads and so the engine is upset at supermarket runs as its 367bhp wants to be heard. This SUV is not for the housewife that wants to potter around town for her errands. Best the pottering housewife gets a new BMW X3. 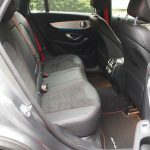 This GLC is for a driver that once excitement. Its is quite simple. 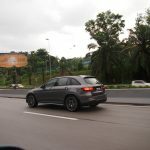 Malaysians who buy a SUV like this are impulsive buyers, people with money to spend without flinching. They are not going to be worried about emissions, fuel consumption and monthly payments. 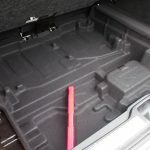 Leave that for the compact and mid-range car buyers. AMG tuned SUV owners buy what they want and that is that.